Players can change games. If they participate in Betas. Multiplayer betas aren't new. They have been around for years, mostly in PC games, helping to shape online play. Testing is important for players and developers alike, as it allows feedback from the customers before a game ships. The first beta I was a part of was for "Call of Duty: Modern Warfare" on XBox 360, and I felt like I had input to give. The beta for the much anticipated "Battlefield 3" will start in early September, and with it the potential to make a great game even better when released. Developers encourage interaction from customers, and these days with email, Facebook, and Twitter it is far too easy to let your voice be heard. Last month "Gears of War 3" had their multiplayer beta test. Suffering from horrible lag and buggy code, "Gears of War 2" was met with bad multiplayer reviews. Cliff Blezinski, lead designer, was quoted as saying, "If Gears 3 suffers from the same problems as its predecessor, then the franchise is dead." I find a lot of truth to that - gaming is an expensive hobby and we deserve/need to give our input. 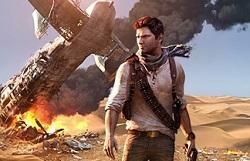 Yesterday the beta for "Uncharted 3" began. It is a free download for "Infamous 2" pre-orders or anyone with a Playstation Plus account. Now, I encourage everyone interested in "Uncharted 3" that has a PS3 to join the beta and help make a difference. If you are worried about not having Playstation Plus, well, don't be. Sony released a "Welcome Back" program a couple of weeks ago that gives all PSN users free access, for one month, to the Playstation Plus services. So download the beta for what could be "Game of the Year 2011" and let's get online, stress the servers, and leave some great feedback to make this product all it can be. Hey, games aren't cheap these days!